Warning: links contain spoilers. Click on them at your own risk! They say breaking up is hard to do. 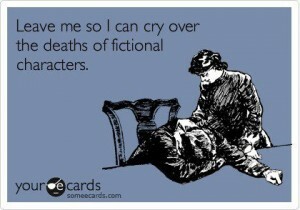 And when an author ends a series a particular way or kills a beloved character is trust broken? Some readers believe the contract between the author and reader is broken once this happens. Reading is personal and we bring a character to life in our own mind. We have ideas on what they look and sound like. We are emotionally tied to a book or a series and form an attachment. Books allow us to experience a variety of feelings while we read. So when an author decides to kill a character then it’s perfectly normally to feel angry or disappointment. 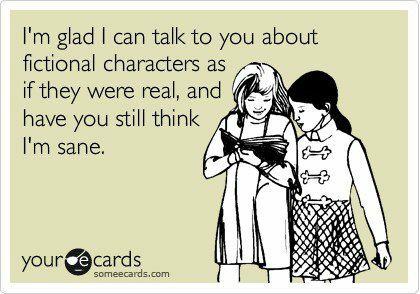 It’s difficult for readers of a series because these characters become our friends. Our only real connection to them is seeing them come to life on a page whereas, the author spends more time with them than we do. So while the death of a character is hard, it also mirrors real life. Yes, it’s out of the blue when a death happens as we read, but in real life people do get that dreaded 2 am phone call. I know the argument of, “I read to escape reality.” I agree, it’s cathartic, but it’s also entertainment. Then again it depends on what type of books you are reading in your spare time. Should every book be given a happily ever after (HEA) ending? No. Like I stated, our only connection to a book is by reading it. We might think about these characters, daydream about them, and crush on them (uh…guilty of this). It’s okay! When we start a series we don’t know the author’s intentions. Some authors outline the entire series before the first book is written. Others work their way towards the end, while some already know how it ends before it begins. Look, I understand the frustration of feeling betrayed when something doesn’t happen the way we anticipated. I refuse to read a book by a favorite author when she killed off the heroine’s husband so heroine could get together with another character because fans loved this character. While I was intrigued by the character, I loved the heroine and her husband even more! So I skipped that book in the series and pretend they never got together. I know this is different from a death of a beloved character. I know it hurts to read those words on a page. Know you aren’t alone. Hundreds of fans are mourning with you and while it’s not the way you would have wanted the book/series to end, sometimes it is for the best. I know the argument that in a romance there needs to be a HEA. While I would agree, keep in mind some people in real life don’t get their HEA and it’s okay. This year we’ve seen fans get angry when a book series is suddenly extended (Sylvia Day’s Crossfire series was originally a trilogy and when Entwined With You was pushed to a June release it was announced there would be 2 more books and many accused her of doing it for the money), fans threatened Charlene Harris because Sookie didn’t pick their choice, others upset over Helen Fielding’s plot twist in Mad About the Boy, and uproar over the ending to the Divergent series. Keep in mind writing is a lonely process and we’re not there in the room while an author writes. Maybe they tried writing that HEA, but it just didn’t feel right. We put trust in an author to take care of our friends, but keep in mind they aren’t talking to us, but to the author. No one knows them better than the author. Some authors do hate their characters and want to kill them off. And even if they loved their characters, it doesn’t mean you aren’t entitled to feel angry at the outcome. You are, but the author doesn’t owe us anything except a well written book (and even that is questionable). There’s no right or wrong way to read a book. It takes a lot of work for an author to produce a manuscript and a lot of blood and tears shed over writing it. 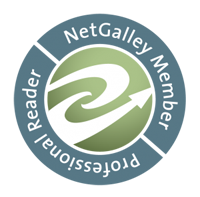 Readers get excited and lose sleep over the anticipation and over reading. We should respect an author (and vice versa) for giving us closure even if it’s not to our liking. There are series fans that don’t get closure and when a series gets canceled the lives of our friends are left hanging in the balance (Brenda Joyce I’m looking at you!). 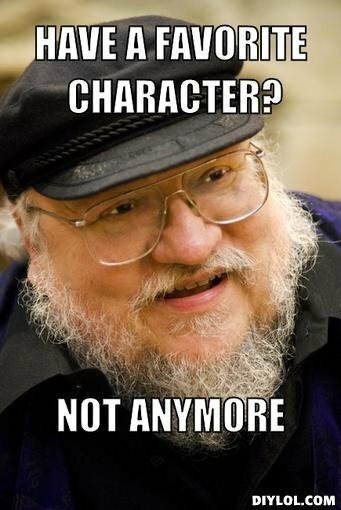 Next time something shocking happens in your favorite series, be thankful George RR Martin isn’t writing it. In the end, if you feel trust has been broken, it’s okay to walk away. Walk away with the memories of the books you loved and pretend the final book doesn’t exist or invent your own ending. Take the time to heal from the shock and move on. Your heart will heal and soon another series will come your way that you will love more than the one that broke your heart.